Senior Audrey Hancock is in her third year writing for the UC Commander. She enjoys any interesting type of article that is thrown at her. She believes you can pursue anything if you put your mind to it and that you should never be afraid to try new things. Audrey joined Journalism because of the love she has for reading and writing creative fictional stories. Other than writing, Audrey also loves science and is really into saving the environment. She hopes to continue to pursue making the world a better place. In her spare time, she enjoys traveling and being outdoors either hiking or at the beach. 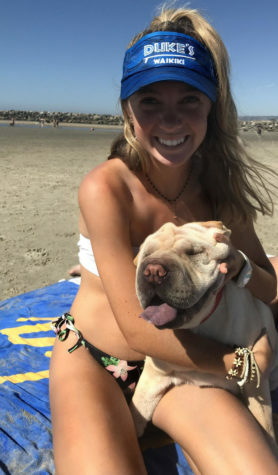 Most of all she has a love for animals, including her shar-pei puppy Chloe.